I’m not talking about treatment codes here. 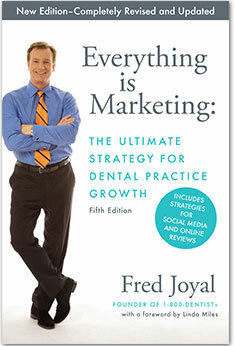 I’m talking about how to stem the revenue erosion that many practices are facing by accepting dental plans, and I’m doing it in a webinar with my good friend Bernie Stoltz, the CEO of Fortune Management. His company has helped more than two thousand practices solve this challenge and build strong practices with happy patients. We will go into alternative methods of satisfying your patients needs without compromising your profitability, and how to make choices about accepting plans as part of an overall strategy. If you’re hoping to thrive in the next decade, this webinar is a must! It happens on Tuesday, July 11th at11 am PT / 2 pm ET. Click here to register. Don’t miss this informative, fast-paced presentation followed by a live Q&A session. And as always, if you register but can’t attend, you’ll be sent a link to the recording of the session. See you online! 50,000 Facebook Fans Can’t be Wrong! I’m very excited about my upcoming webinar on June 14th. It’s with Dr. Anissa Holmes who, along with being named one of the top 25 women in dentistry, also has 50,000–yes, 50,000–fans of her Facebook page. I am in awe of this, and we’re going to dig deep into how she managed this. She’s also going to talk about how to effectively advertise on Facebook, how she generates 50 new patients a month from Facebook alone, and even how to use Facebook to fill last-minute cancellations. We are going to pack your brain with social media wisdom, so don’t miss it! That’s Wednesday, June 14th, at 11am PST, 2pm EST. Register by clicking here. As always, even if you miss the webinar, if you register you will get a link to the recorded version emailed to you. You may just want to watch it twice!! Tomorrow I’m doing a live webinar with Bete Johnson from CareCredit, and we’re going to do a deep dive into how to maximize the utilization of patient financing in your practice. You’ll learn about some amazing tools and some very practical tips, and you’ll also realize how critical it is to introduce the financing option to your patients. That’s May 17 at 11am PST, 2pm EST. Register by clicking here. See you on the Internet!